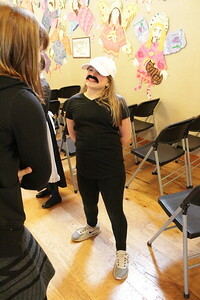 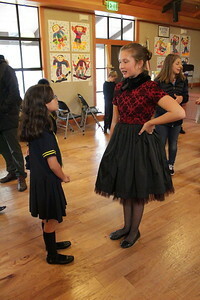 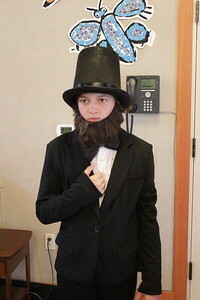 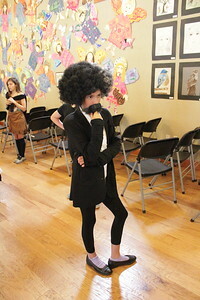 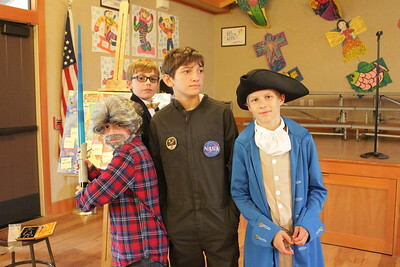 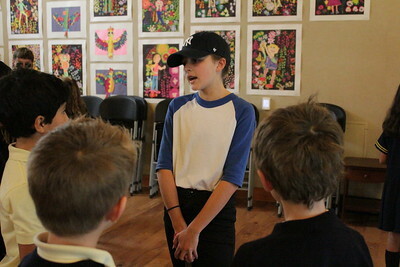 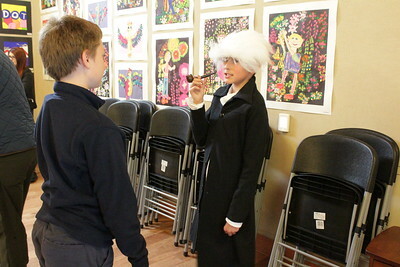 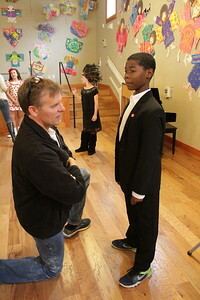 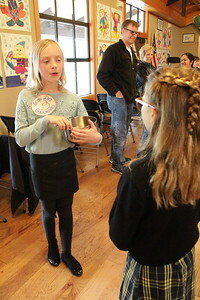 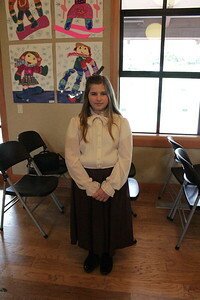 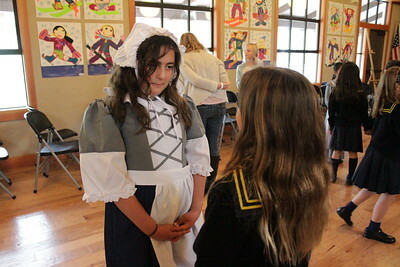 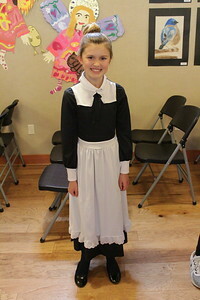 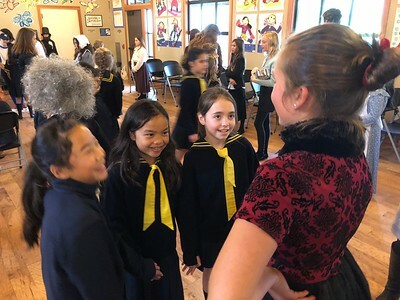 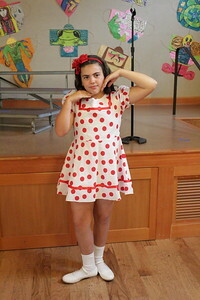 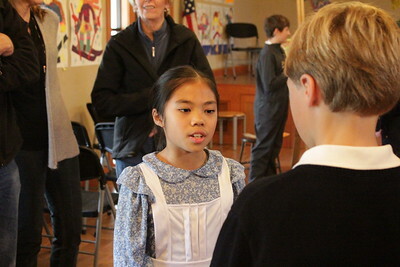 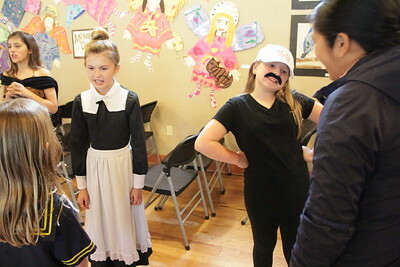 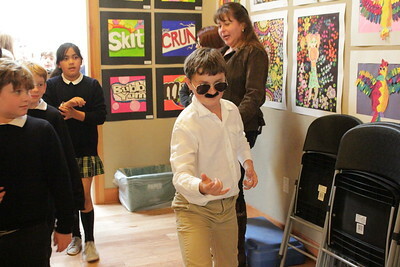 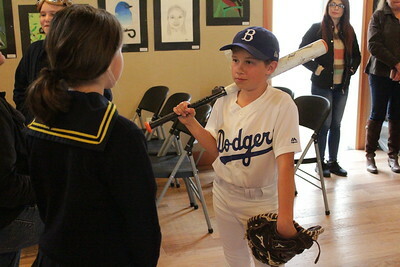 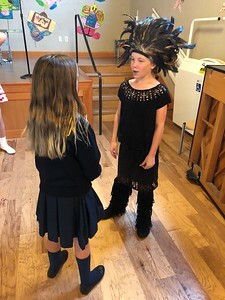 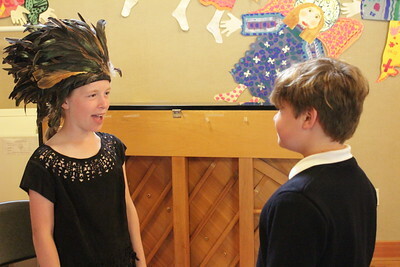 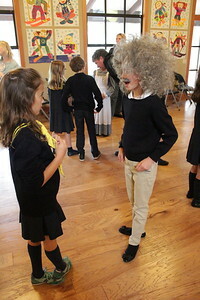 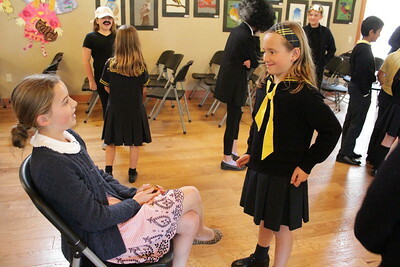 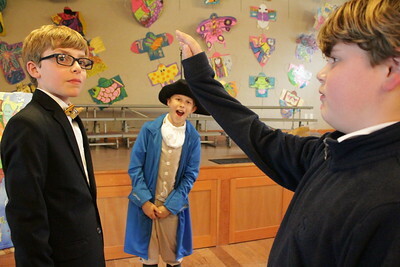 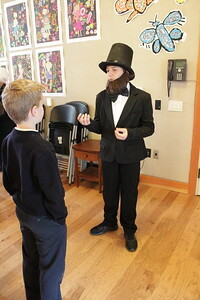 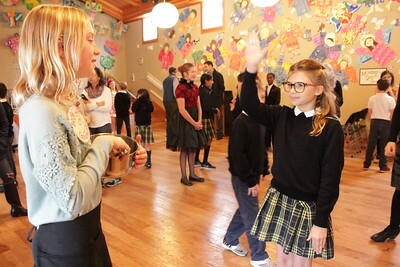 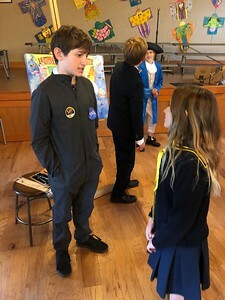 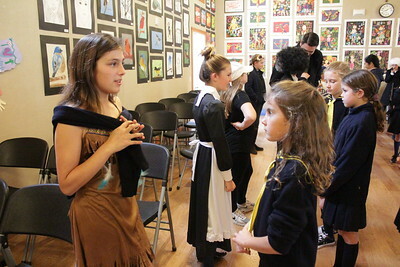 Fifth-graders, dressed as famous people, made like wax figures, standing still until someone waved at them. 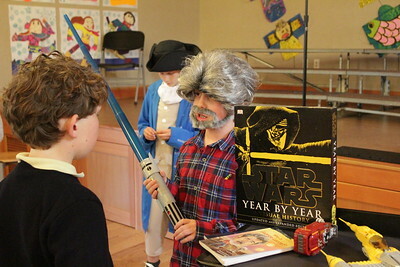 Then they gave their biographies. 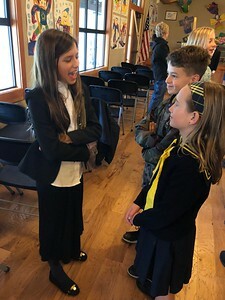 March 13, 2018.